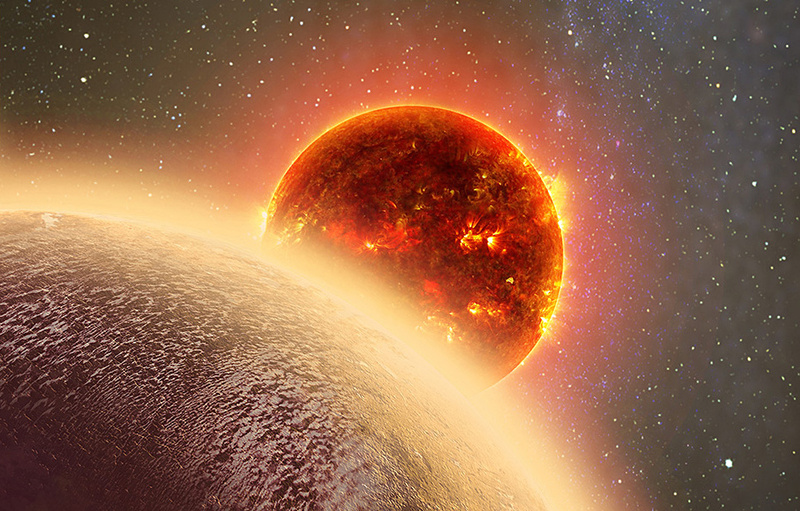 In this artist’s rendering of GJ 1132b, a rocky exoplanet very similar to Earth in size and mass, circles a red dwarf star. GJ 1132b is relatively cool (about 450 °F) and could potentially host an atmosphere. 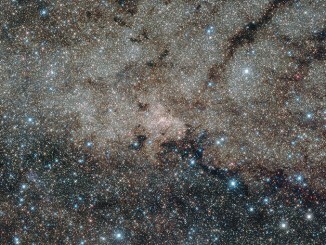 At a distance of only 39 light-years, it will be a prime target for additional study with Hubble and future observatories like the Giant Magellan Telescope. Image credit: Dana Berry. 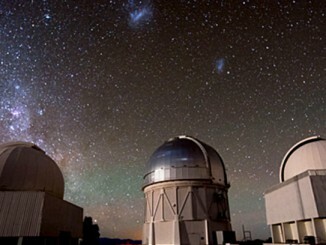 The MEarth-South telescope array, located on Cerro Tololo in Chile, searches for planets by monitoring the brightness of nearby, small stars. 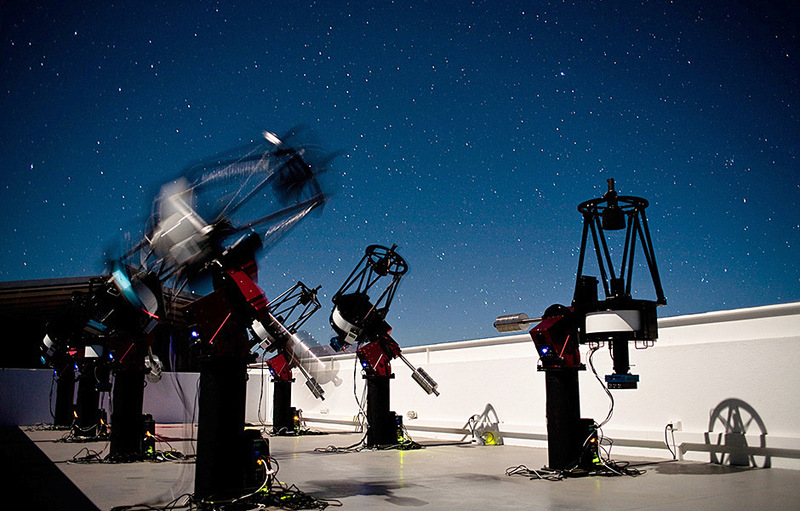 This long-exposure photograph shows MEarth-South telescopes observing at night; the blurred telescope is slewing from one star to another. 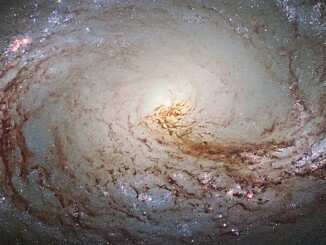 Image credit: Jonathan Irwin.